A RAID (redundant array of independent disks) is a configuration that combines multiple hard drives to act as a single unit for the purposes of data redundancy or performance enhancement. There are 2 basic RAID levels: mirrored (RAID 1) and striped (RAID 0, 5, or 6). A mirrored RAID has at least 2 drives that are an exact copy of each other. In an ideal recovery situation, the drives are syncronized and only 1 needs to be recovered. In a striped RAID, each file is broken up and a portion of it is written on each of the drives in the configuration. Generally speaking, for an intact recovery all of the member drives need to be recovered, then the RAID configuration needs to be reconstructed. It should logically follow that a striped RAID recovery is much more complicated and time-consuming than a mirrored RAID recovery. We service all RAID levels in all configurations, and do not require the controller to be present with the drives in order to reconstruct the RAID parameters during a recovery. Generally the cost of a RAID recovery will be the price of a Level 1, 2, or 3 recovery for each failed drive in the array, plus a cost to reconstruct the RAID parameters based on the total RAID size. 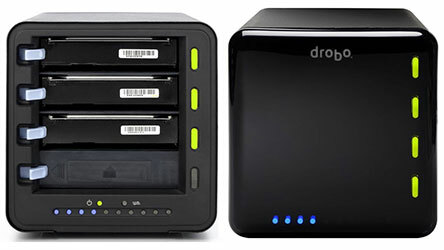 Due to the myriad of possible configurations, each RAID recovery requires a custom price quote. As a ballpark, smaller mirrored configurations should fall under $775. Smaller striped configurations should fall under $1300, and larger striped configurations can range from $1500 to several thousand.